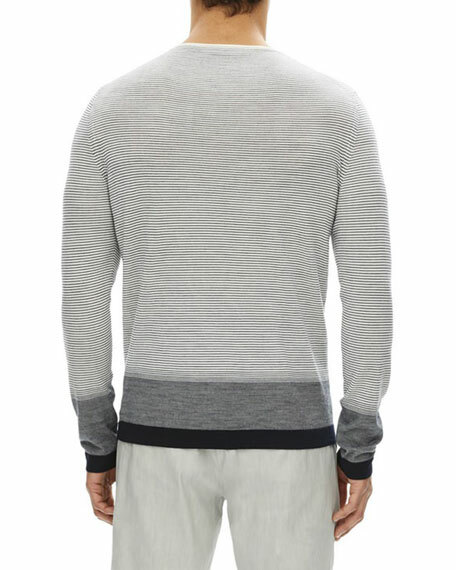 This slim-fit sweater has a fine rolled neck, contrasting stripes, and jersey tubular ribbed trims. 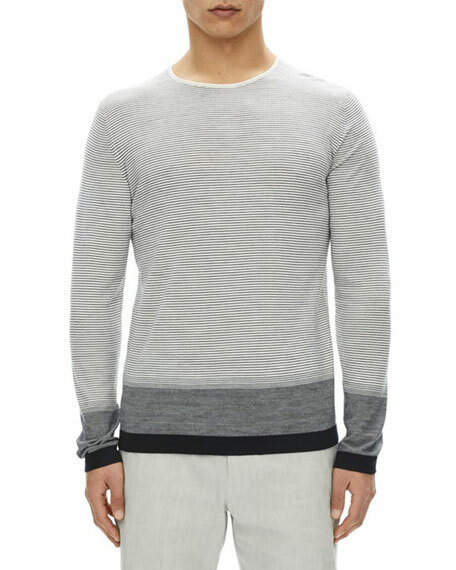 Incredibly lightweight, this crewneck sweater is ideal for layering in the transitional months. Theory "Cyar" sweater in contrasting stripes. Ideal for layered in the transitional months. For in-store inquiries, use sku #2512217.